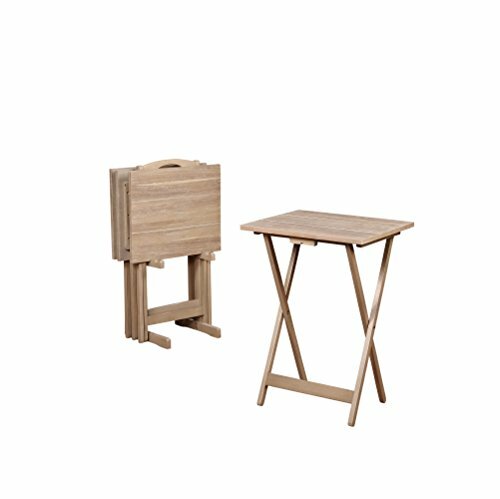 The grace acacia TV tray table set has a distinctive look with its sturdy wood construction and planked top. This set includes four foldable TV trays and one storage stand. The handle on the top of the stand makes it easy to transport the entire set from one room to another. A true home furnishings staple. Easy to move from one room to another with the handle on Top.